Janet Mangini, a San Francisco based attorney, brought suit against R.J. Reynolds in 1991. She challenged the company for targeting minors with its “Joe Camel” advertising campaign. 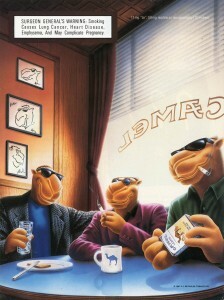 The Joe Camel character was introduced in 1988 in conjunction with the 75th anniversary of the brand. 1994 – July 1: California Supreme Court reverses for plaintiff, permitting a legal cause of action regarding youth marketing. 1997 – September: Case settled. R.J.R. agrees to pay $10 million for youth education and discontinues Joe Camel ad campaign. “This equitable relief case was brought by Janet C. Mangini, on behalf of the general public, against R.J. Reynolds on October 2, 1992. The plaintiff alleged that the omission of the federal warning from the defendant’s logo on promotional items violated the Cigarette Labeling and Advertising Act, and was an unfair business practice. She alleged that the advertising campaign was illegally targeted at minors. The plaintiff charged unfair/unlawful business practices, and unjust enrichment. 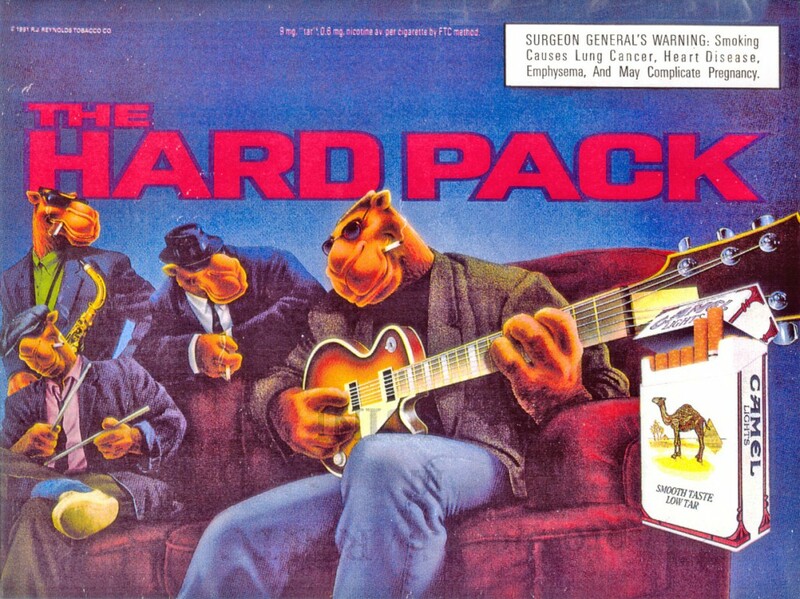 The plaintiff sought an injunction ordering that the defendant be disgorged of their “ill-gotten gains” and requiring corrective advertising warning of health hazards to offset the Old Joe Camel advertisements. In 1993, following the decision in Cipollone, Judge Lucy Kelly McCabe granted summary judgment to the defendants on the grounds that the Federal Cigarette Labeling and Advertising Act preempted the suit. The plaintiffs appealed. On July 14, the Court of Appeal, First District, Division 5, California reversed the decision. “The court found that the plaintiff’s “glamorizing without disclosure theory” was preempted by the Act, however the theory that the defendants were illegally targeting minors was not. It found that the trial court should have given the plaintiff an opportunity to amend the pleading to plead the latter theory. “Hoping to avoid a trial, R.J. Reynolds argued that only the federal government can regulate its advertising. The court disagreed, saying that federal law does not bar states from controlling cigarette promotions–and in fact encourages states to prevent minors from lighting up. Introduced in 1988, the Joe Camel character was initially used for the 75th anniversary of the brand. Wildly popular, the smirking cartoon mascot now appears on beach towels, baseball caps, windbreakers and numerous other items that can be had for free in exchange for proof-of-purchase receipts. Recently, Joe has been joined by a bunch of Josies, who are depicted as smoking Camels around a pool table in a bar. According to Mangini’s lawsuit, Camel sales to teen-agers surged from $6 million to $476 million in the four years after the debonair dromedary was introduced. Moreover, a 1991 survey by the Journal of the American Medical Assn.–a survey heartily disputed by the tobacco industry–found that some 6-year-olds were nearly as familiar with Joe Camel as with Mickey Mouse.